Photo: Fan art by Lyndon Berresford. Filming for Star Wars Episode VII is expected to re-start later this month, so says The Hollywood Reporter. Production recently went on hiatus to compensate for Harrison Ford's leg injury a few months back. Now we're hearing that the cast & crew and getting ready to go back to work on the Sequel. 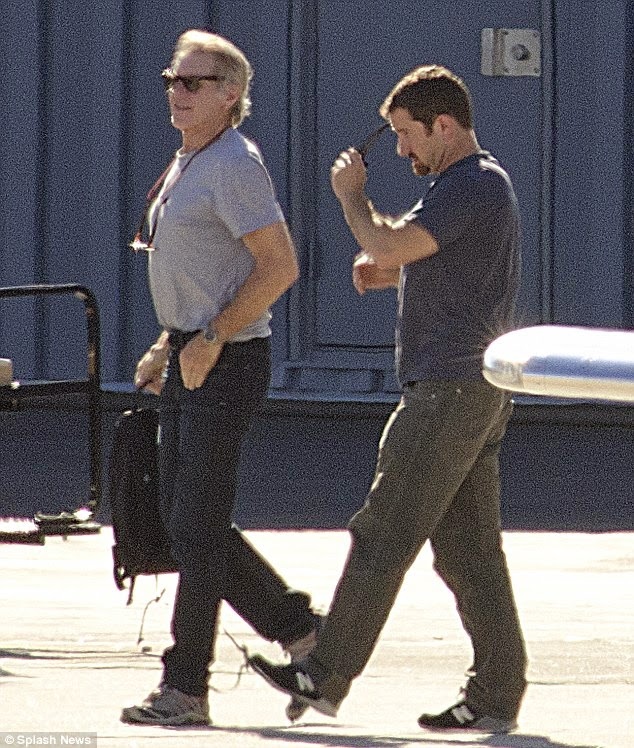 And speaking of Harrison Ford, recent photos from Daily Mail showing him on his feet in London. They also spoke with Harrison's friend and trainer who said he's "feeling great and in great spirits." He was later spotted in Los Angeles for the premiere of The Expendables 3. No word yet on if he will be going back to London to join the production soon. And even more evidence that that production will be ramping up soon comes from other cast members. 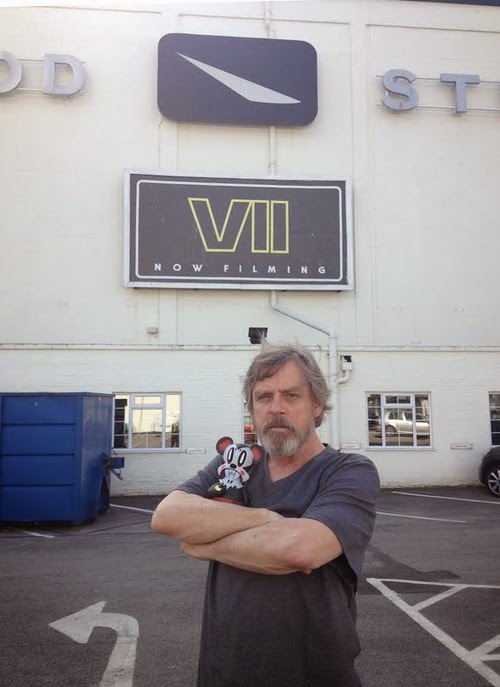 Luke Skywalker himself, Mark Hamill, tweeted a photos of himself and his family in and around London, and his son Nathan Hamill also shared a photo of him outside Pinewood Studios, which you can see below. Oh London how I love you! It's certainly exciting to know that filming for the next Star Wars film will be in full swing once again very soon, and Harrison Ford seems almost completely recovered from injury. The Episode VII crew had better get moving if they're going to make their December 18th, 2015 deadline!